I haven&apos;t worked with a formal dress code for a long time, but can still remember how hard it was to dress and shop for work. 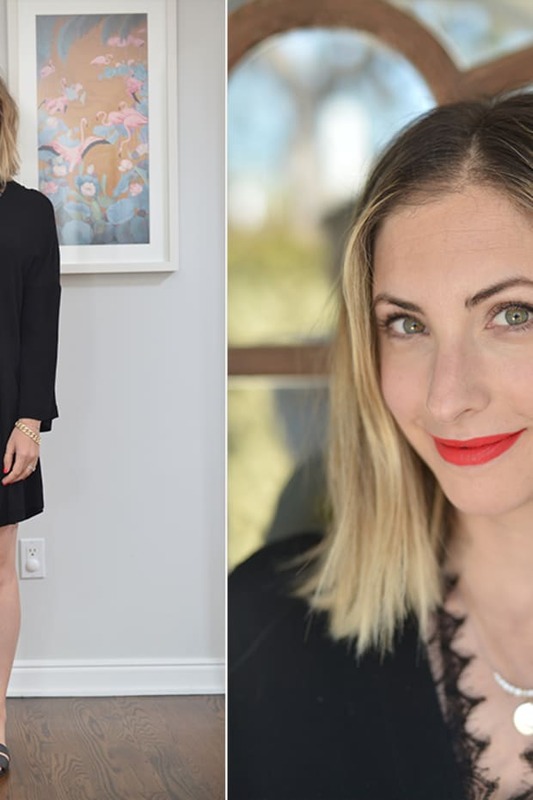 I still empathize with my friends who do and when one of them complained about how tired her wardrobe has been feeling recently, we decided to go through and change out a couple key pieces. Just a few updates and it felt like there was new life in her workwear arsenal. Here are some of the changes we made. 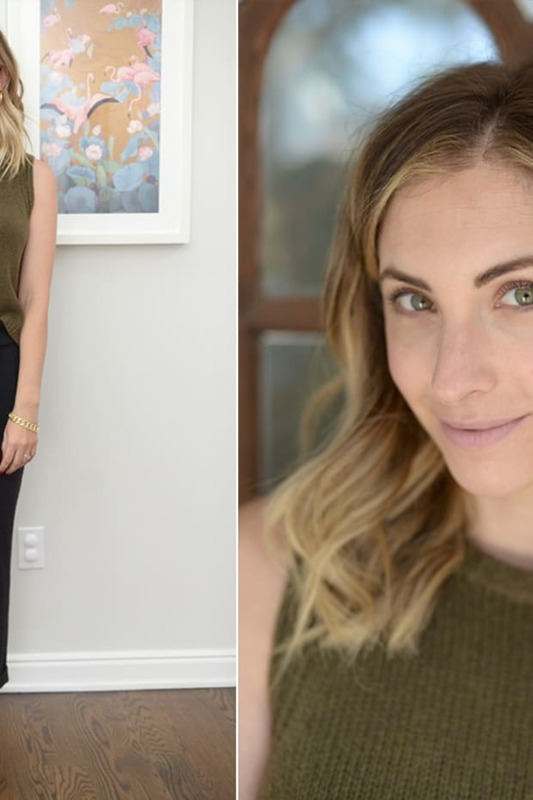 Just about every woman I know owns a classic black pencil skirt, but this camel-colored asymmetrical version has enough special details to make even a simple blouse appear updated. 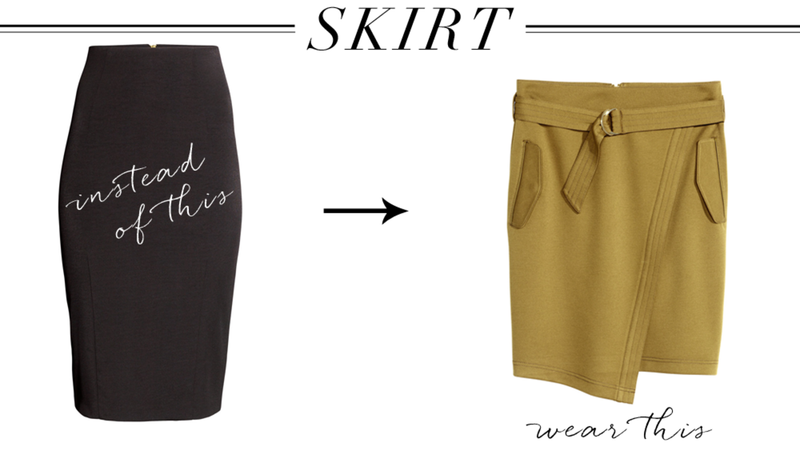 Bonus: The skirt looks equally as good with a slouchy tank top and flats for the weekend. 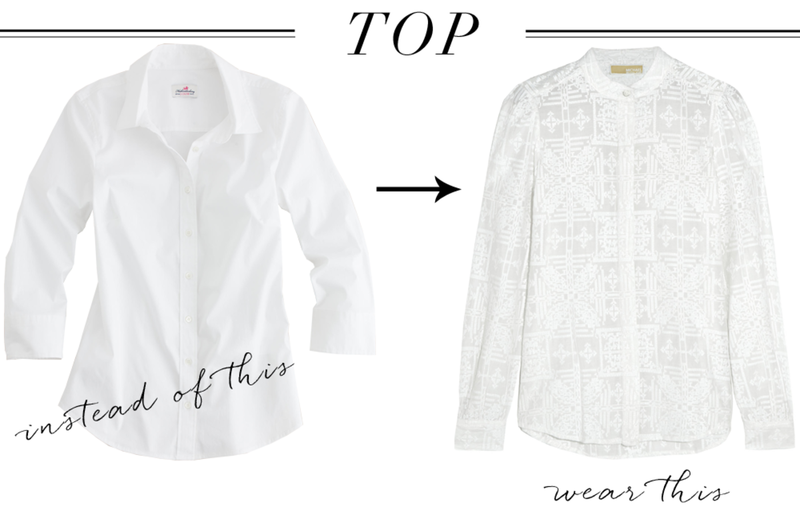 I&apos;ve share my love for a white button down over and over again, but the subtle embroidery on the right has a fun bohemian feel. It&apos;s still in a conservative cut, but could add a playful new touch to favorite blazer or trousers. 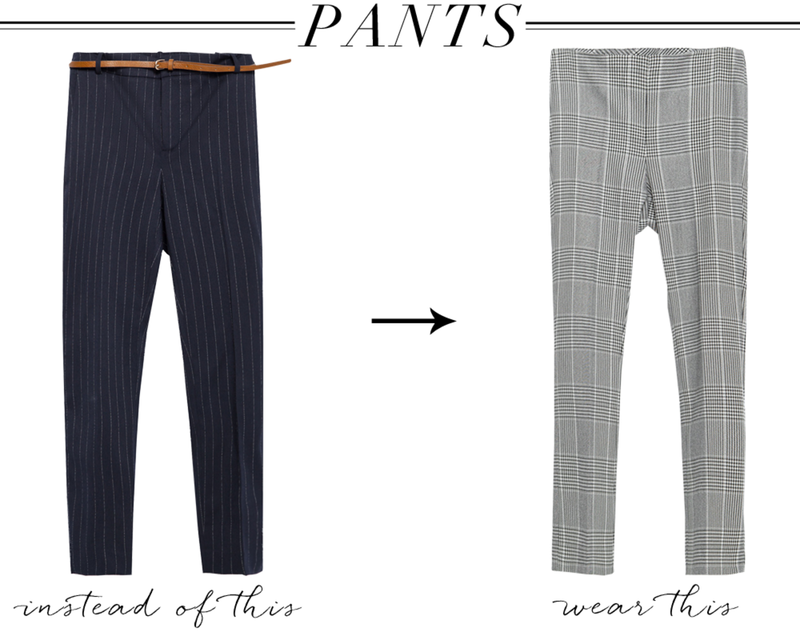 Though I love a tapered pinstripe pant, this checked pattern is special. It doesn&apos;t have much hanger appeal, but sits high on the waist and is cropped above the ankle, with slight flares. It&apos;s basically the office version of "cool-girl" flared jean. 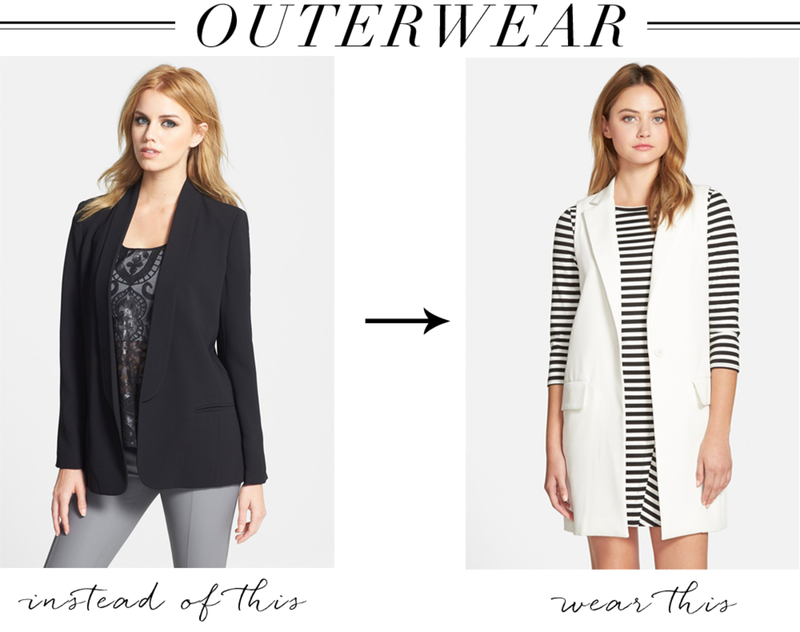 When worn over a long sleeve dress or blouse, this thigh-length sleeveless vest can replace your typical blazer. Because it&apos;s a slightly less conventional option, I&apos;d recommend buying a neutral color like white or black. With a block heel and mary-jane strap, these pumps are the updated version of the stiletto. I&apos;m partial to the strap around the ankle, which prevents them from slipping off when I wear tights. It&apos;s tough to find a good workbag, so when you discover one that&apos;s roomy, has enough pockets and is sturdy, it&apos;s hard to pass it up. I always recommend when you find your perfect version, purchase another one in a bright, cheerful hue. 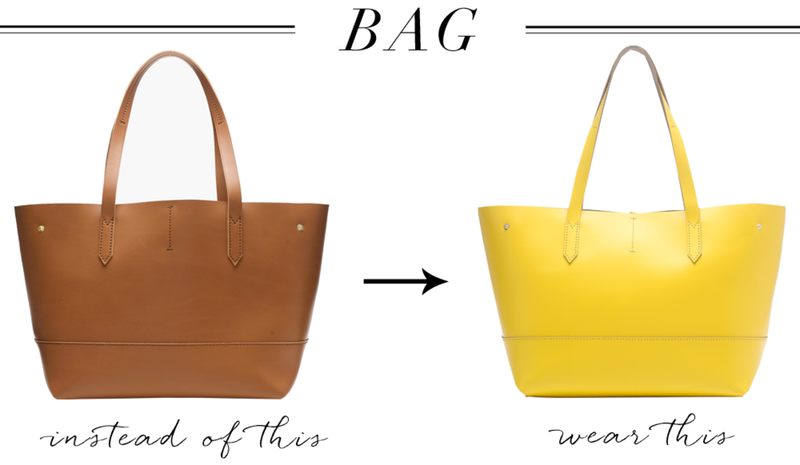 When you do choose to wear a basic outfit, the bag will add an eye-catching pop of color.